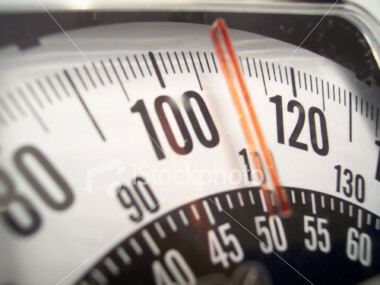 How much should you weigh? We have been attempting to answer that question through several posts recently, looking at the failures of bathroom scales, body mass index, and body fat percentage. None of these tools can give me a number that says, “This is what you ought to weigh.” Of course, we got into this problem because the Bible is annoyingly silent on the issue. I’d like to suggest one more less-than-helpful source for an ideal body weight: friends. The problem with friends is that they don’t necessarily see you in the way that you need to be seen. Some of them may have been duped by the pseudo-science of BMI or the unhelpful but legitimate science of body fat percentage. Some are just plain wrong. They might even be right, but how would you know? After all, if a friend has some magical tool to divine the proper weight for you, shouldn’t you cut out the middle man and employ that tool yourself? About six months into my weight-loss effort, a very good friend of mine, someone who I know had my best interests at heart, solemnly told me, “No more. You’re looking gaunt.” At that moment said that, I weighed about 192. Eventually I’d get down around 183 for a solid six months, and during that six months, I felt great. Another friend, might push you to lose more weight. Unfortunately, the one most likely to suggest that you keep peeling off the pounds will often be the romantic partner. “You’ve lost 25 pounds. That’s a great start,” he or she might say. As a husband, I have to look at my wife and recognize that she should weigh her weight and not some fairy-tale weight that I imagine. Of course, I am not ignoring the fact that a friend or spouse can help me to avoid becoming complacent at too high a weight or obsessively pushing to a too-low number. Friends can push us to see things about our own bodies that we might otherwise pass over. Still, your friend is not the best source for deciding what that ideal weight might be. Surely there’s a better way. Perhaps there is, but it’ll have to wait for another time.